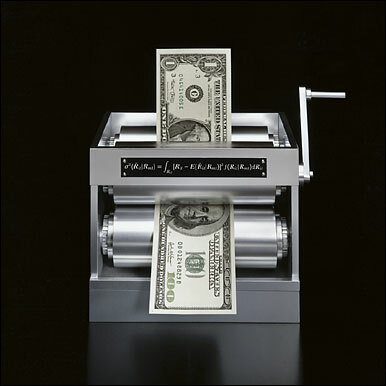 Money Turtle: Inverted Yield Curve? 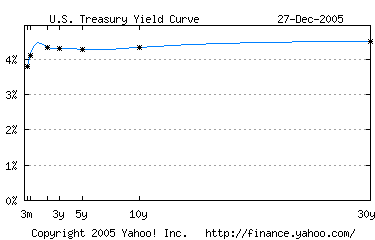 If you look at the yield curve, the two year note yields are higher than the three and five year notes. This a small inversion, but I would treat it as a flat yield curve. A few more rate hikes and we'll see a clear inversion of the yield curve and this will be bad news for the economy. The bond market is telling us that growth will be stagnant in 2006 and if the yield curve inverts, we'll be looking at an economic slow down. 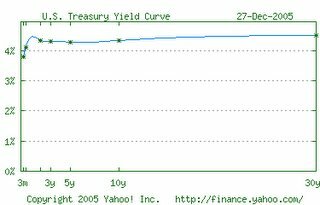 A lot of people are dismissing the importance of the yield curve and I think that's a mistake. I put a lot of weight on the yield curve. It's had an excellent record in forecasting recessions and I don't see why it's different this time.